I’ve decided to pick an html and css weakness each week and work on that weakness. Each weakness I choose, I’ll find a project each day to work on that relates to that weakness. For instance, this week, I’m working on the <nav> element and plan to code several different nav’s in several different styles. I found this post really helpful in understanding the basics of creating good navs. 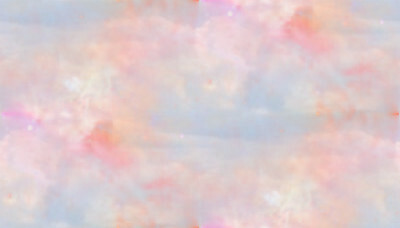 Header Graphic For Tumblr Blog. Just finished this mockup for a Tumblr blog. I’ll probably change it around a bit more, but for the most part I’m happy with it. You can see it on the blog here. themotorcycledude.tumblr.com. Blog header graphic for themotorcycledude on tumblr. The pin up girl clipart was a digital download from Payloadz. I purchased a whole bunch of clipart the other night with a liberal license and a decent price. I’ll do a clipart review soon, and post a referral link for anyone that might be looking for some pin up clipart. This entry was posted in Portfolio, Uncategorized and tagged graphics, portfolio on January 7, 2019 by NewAeon. If you’re not familiar with dingbat fonts, they’re just little pieces of clipart that you can use in your scrap-booking, and banner designs. When you load them the characters on your keyboard turn into clipart images instead of letter and numbers. I love playing with dingbats. I did a basic video on the basic use of dingbats. It’s a bit old, but the info is still relevant if you’re not familiar with using them. I’ll be posting more freebies for clipart, images, fonts, and dingbats so check back soon! This entry was posted in Uncategorized on January 6, 2019 by NewAeon. This entry was posted in Uncategorized on January 18, 2016 by NewAeon.